⁃ For the most magical experience ever, set up a sleigh ride to dinner with Jackson Hole Vintage Adventures! We got picked up in a sleigh driven by two Clydesdale horses. Dinner was set up in a heated tent with s’mores by a fire after! I don’t want to ruin it for anyone who decides to go so I’ll keep some things a surprise! ⁃ If you’re brunching in Jackson make sure to go to Lotus. They have everything from savory egg and quinoa bowls to delicious smoothies and gluten free flapjacks! You can’t go wrong! ⁃ On the way out make sure to hit Persephone Bakery for a little splurge. 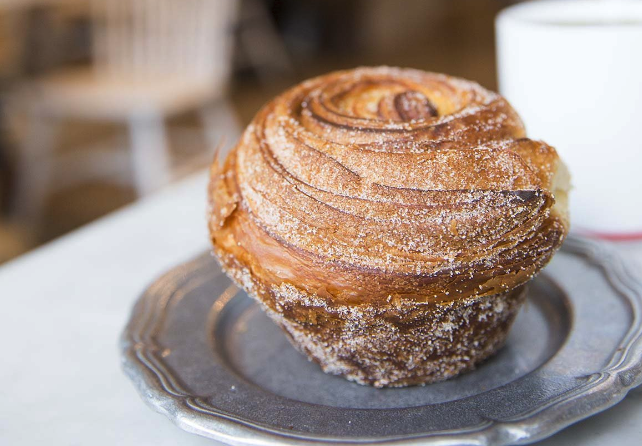 The cinnamon sugar croissant is so worth it!! - Make sure to pack extra warm! Jackson is a really windy mountain. There’s a ton of wildlife to see whether you go looking for it or it’s out looking for you! There is so much to do from snowshoeing to heliskiing and everything in between - you can’t get bored!